As a new contractor, it can be difficult to decide whether to run your business as an Umbrella Company or a Limited Company. The first step in making your decision is to find out as much information as possible about the two options and what the differences are. 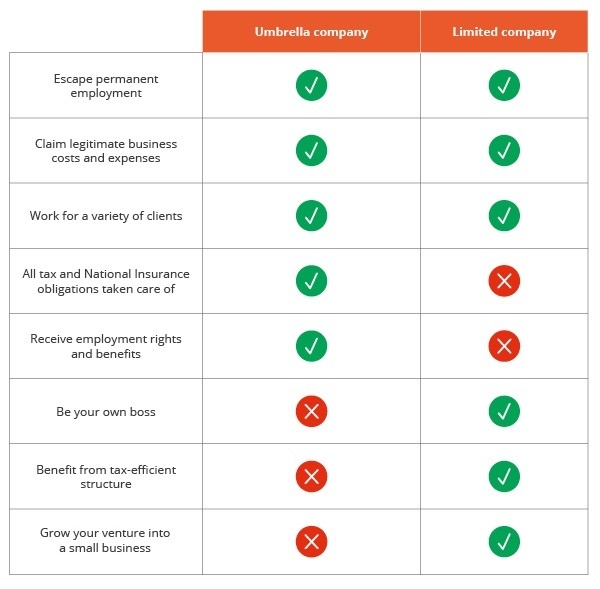 Thankfully, we at ClearSky Contractor Accounting are here to help; we’ve put together the following guide and handy table so you can see at a glance what the differences are between an umbrella company and limited company. Whilst both umbrella and limited company’s allow contractors to escape permanent employment, claim legitimate business expenses and work for a variety of clients, there are also a number of differences. Now that we’ve outlined the basics, let’s look at the important differences in a bit more detail. If you join an umbrella company, you’ll be their employee. This means they are responsible for all of your Income Tax and National Insurance Contributions. If you choose to go limited however, you will have to deal with your tax obligations yourself as company director. Don’t let this extra work put you off though as help is available. If you join a specialist contractor accountant, such as ClearSky, we’ll take on the lion’s share of your admin – leaving you free to get on with what you do best. As an employee of an umbrella company, you will still get the standard benefits offered to permanent workers such as holiday, sickness, maternity and paternity pay.  As a limited company contractor you are classed as self-employed, so do not benefit from the same employment benefits as permanent workers or umbrella contractors. There are, however, a host of other benefits you’ll enjoy as you will soon find out.  Whilst you’ll have an element of freedom as an umbrella contractor, you are still classed as an employee so may not get the full entrepreneurial experience as a limited contractor would do. The first thing you’ll experience as a limited company contractor is the chance to work for yourself. This means you’ll have complete control over your business and can run it exactly how you want. Umbrella contractors are bound by the same Income Tax and National Insurance obligations as permanent workers – there is no room for manoeuvre on tax structures. In contrast, starting a limited company is regarded as the most tax-efficient way to operate as a contractor. You’ll be able to pay yourself a combination of salary and dividends that reduces the amount of tax you are charged. What’s more, as a limited company director you’ll be able to leave surplus income in your business to be withdrawn at a later date – particularly useful if removing the funds straight away would result in a higher rate of tax. The final financial benefit you’ll enjoy with a limited company is the option of taking out an interest-free director’s loan. This lets you take out up to £10,000 from your business tax-free, as long as you pay it back within nine months of your firm’s year end.  One final benefit you’ll get as a limited company director is the opportunity to expand your business and take on more employees. This opens up lots of new doors that you just don’t get as an umbrella contractor. We hope the above table provides a quick snapshot of the key differences between the two options. If you’d like a bit more detail, we’re here to help. At ClearSky Contractor Accounting, we’re committed to providing the best possible advice. Our dedicated team of experts is on hand to recommend the most suitable route for you to take based on your own personal circumstances. We’ll be with you all the way throughout your career, whenever you need us. What’s more, our combination of an online portal and dedicated telephony service gives you the best of both worlds, leaving you safe in the knowledge that you’re in good hands. For more information, please call 0800 032 5326 or email enquiry@clearskyaccounting.co.uk.